Is there anything that Diddy doesn’t do? The entertainment powerhouse Diddy a.k.a Sean Combs has teamed up with actor Mark Wahlberg to partner in a new business venture that doesn’t involve music or acting. 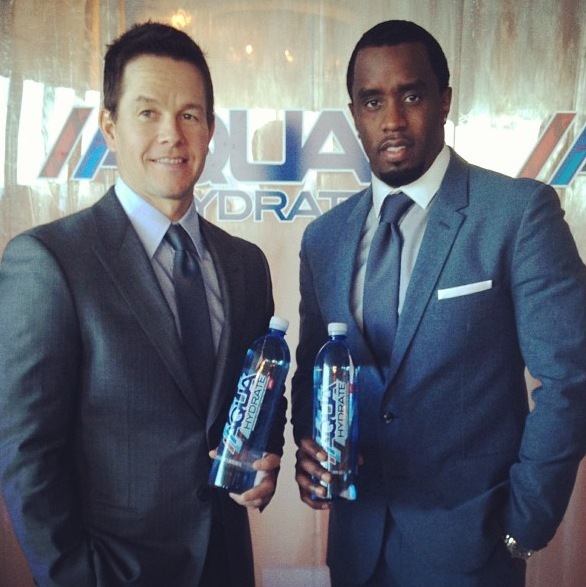 This time Diddy is putting his talents behind the Southern California water and wellness brand called AQUAhydrate. The business arrangement entails Diddy and Wahlberg to be brand architects of the company. Wondering what’s so special and different about AQUAhydrate water that would make a mogul like Diddy want to take part in? One thing we know for sure is that Diddy knows taste.